On Sept. 1, drugmaker Allergan agreed to pay $600 million to the feds to settle charges that it improperly marketed wrinkle-eraser Botox for uses not approved by the FDA, such as relieving headaches. It caught my eye, because I’m being asked quite frequently these days to explain why regulators aren’t more attuned to the improper use of anti-aging drugs. Drug companies are prohibited by law from marketing their products “off label”–that is for uses not cleared by the FDA. 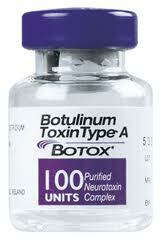 Botox is approved by the FDA to erase wrinkles and treat some muscle disorders. But Allergan has been testing the drug for other purposes, including treating migraines. And last October, it became the first drug company to sue the federal government over the ban on off-label marketing, arguing that the law violated its first-amendment rights to commercial free speech. As part of this settlement, Allergan agreed to drop that suit. And that pretty much settles it: Drug companies will not be permitted under the laws of this country to market their drugs off-label. Off-label marketing is a particularly touchy subject when it comes to human growth hormone, another drug commonly prescribed in the anti-aging industry. HGH is in a special legal class, because it’s not only illegal for the drug companies that make it to market it off-label (i.e. for anti-aging), but it’s also illegal for doctors to prescribe it off-label. Normally, physicians can use their discretion and prescribe drugs for uses not approvecd by the FDA. That’s not the case with HGH. As I explain in Selling the Fountain of Youth, regulators have had only a modest amount of success prosecuting HGH cases. In 2007, Pharmacia (a unit of Pfizer) admitted to improperly marketing its popular HGH drug, Genotropin, but only had to pay the federal government a fine of $15 million. Some physicians have faced charges, as well, though most of the prosecutions have been levied against doctors found prescribing HGH to professional athletes. The point of cases such as this is to dissuade drug companies–and in the case of HGH, doctors–from engaging in improper marketing of any drug. I’ll be interested, however, to see if it actually works.